FAMILY COMPOUND? CO-HOUSING OPPORTUNITY? Architect-designed country retreat, in park-like setting. 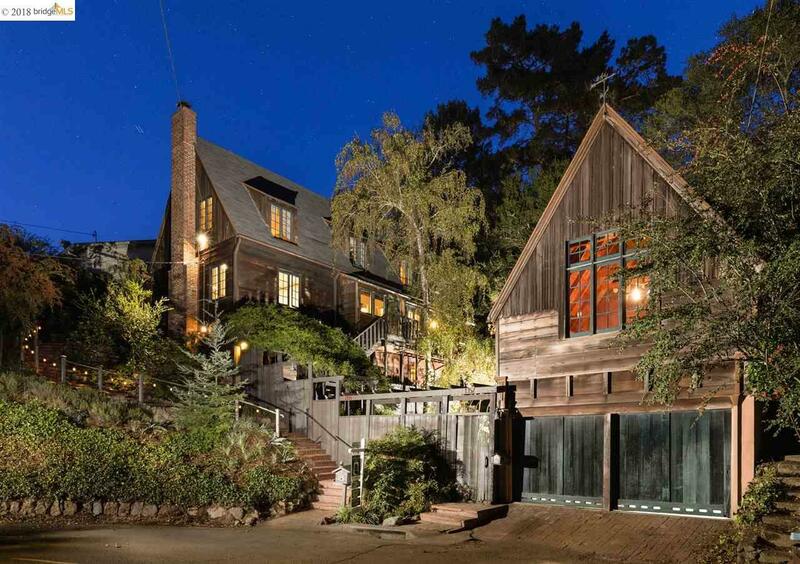 Designed by the esteemed architect Henry Gutterson in 1936, is built of solid redwood, and surrounded by gardens with stone pathways, mature trees, a koi pond, and a peek-a-boo view of the bay. The remodeled kitchen designed by Bennett Christopherson opens to a private patio, in keeping with the original architecture of the home. The magical guest cottage (w/separate parcel #, tax bill and utilities) was designed to match the Old World charm of the main house; tall windows, two sleeping lofts, an office, full bath and kitchen. PURCHASER OF HOUSE TO HAVE FIRST OPTION TO PURCHASE COTTAGE.